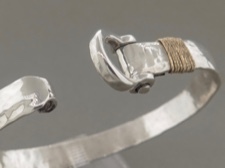 Individually handmade on St John by Tom Krall in sterling silver with 14kt wire wrap. 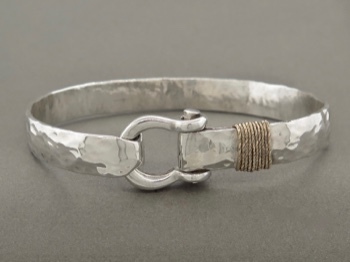 Each shackle is cast sterling so it is full-bodied and solid. 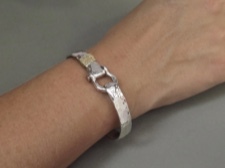 Every bracelet is hand finished with an attractive hammered surface. The shackle is a variation on the traditional hook for those that want a marine theme. The smooth shackle latch makes it a functional favorite for those that wear it while working and sailing.